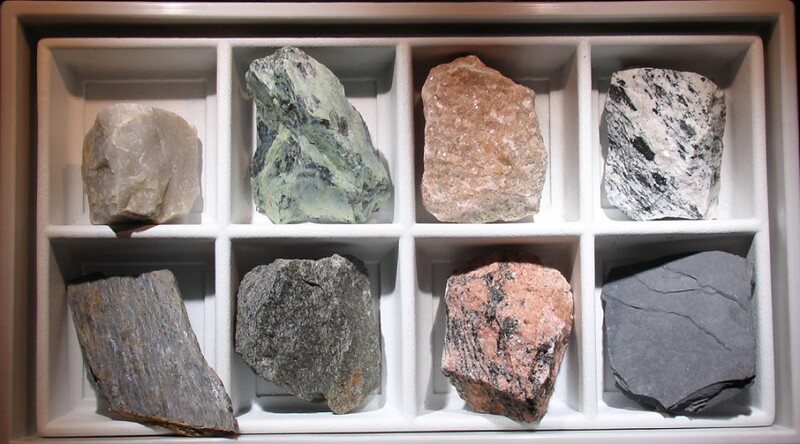 8 3-inch metamorphic rock samples. In heavy duty plastic tray with insert. (Shown in white for photo taking, it comes in black tray and insert as that is what most people prefer.) Quartzite, serpentinite with slicknsides, pink marble, diorite gneiss, phyllite, muscovite-quartz-albite schist, granite gneiss, slate. 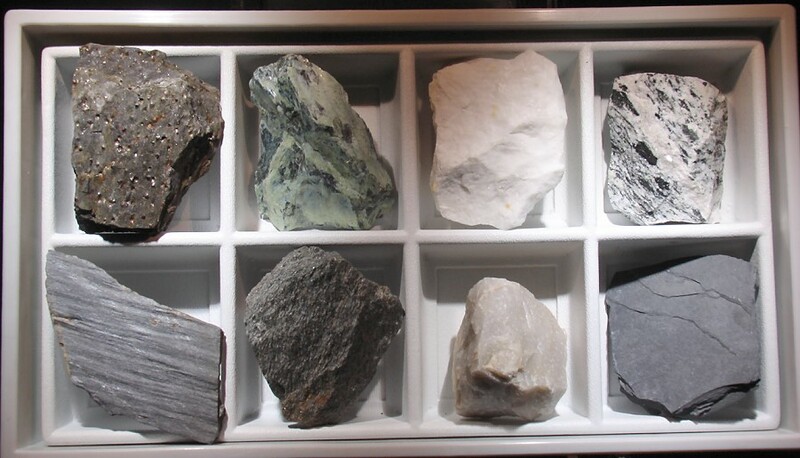 8 3-inch metamorphic rock samples. In heavy duty plastic tray with insert. (Shown in white for photo taking, it comes in black tray and insert as that is what most people prefer.) Garnetiferous mica schist, serpentinite with slicknsides, white statuary marble, diorite gneiss, phyllite, muscovite-quartz-albite schist, quartzite, slate.